Greg Daniels made a good move when he hired Mindy Kaling — who was only 24 at the time — as part of the flagship writer's room of his American adaptation of The Office. During her time on the show she wrote some of the series' most memorable and beloved episodes, including the two-part Jim and Pam wedding episode that got her an Emmy nomination. 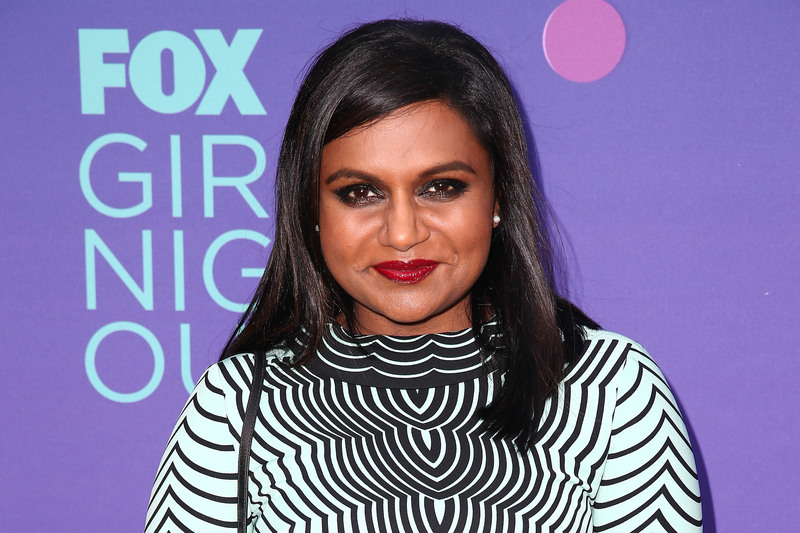 Now, Mindy Kaling's campaigning for Emmy noms for her own show, The Mindy Project. Comparisons between Kaling's first big show and her most recent have peppered coverage of The Mindy Project since the beginning, but the analysis usually ends at the fact that they're both largely ensemble workplace sitcoms. The Office and The Mindy Project have a lot more in common than that, though, and that's only solidified as time's gone on. I think there’s a sense — especially if you are a minority woman on a show — that you are going to adhere more directly to these sort of standards of being politically correct than in other shows. I don’t think that is very well observed for the people I know who are minorities. We are just as un-PC as other people. And it’s funny. When you show people’s flaws and biases, it’s human and you cringe, but it’s also realistic. Because Kaling obviously created her own show with her own characters, no one on The Mindy Project is a direct copy of anybody on The Office. But it's clear, hearing Kaling talk about the world she created, that there's a direct line to be drawn from Michael Scott to Mindy Lahiri. Loud, brash, desperate to be loved, and often very un-PC in that desperation. The Mindy Project is less about the day-to-day ramifications of Mindy's managerial style (a frequent plot point on The Office), but that soft core to a brash exterior seems like what happens when you mate the stylings of Nora Ephron with those of Michael Scott. It is interesting, then, to witness how people react to each of them — the lead white male spewing the un-PC versus the lead Indian female spewing the un-PC — and where the focus gets put. The headlines surrounding The Office's early seasons rarely brought up Steve Carrel's skin color or body type, for example. They did bring up his ability to induce cringing, but Kaling is in a unique position in that when people write about her show or her character the discussion is almost always funneled into being about something bigger. I was on The Office for so long and the philosophy there was, 'What’s truthful is what’s beautiful.' One thing I learned from [Office showrunner] Greg Daniels is that I love a show with hard jokes but that has a very romantic center and seriousness and poignancy at times. [The Office] had tons of characters that were super flawed and weird, especially the lead. And that’s one thing that I took and wanted to have in my character as well, which you see less often with female leads. The first episode of The Mindy Project involves Mindy destroying a wedding, getting arrested, and loudly complaining while lying on her best friend's floor. In the finale to the third season we see a much more measured Mindy — still brash, but two seasons more nuanced — trying to decide what step to take next in her ongoing saga. That ability to transform desperation from tragedy into a largely compelling character trait in a sitcom's major character? It's crucial, and it's totally The Office. And Danny and Mindy are not Jim and Pam — nor should they be — but Kaling cut her heels writing one of the most memorable romances in television history, so it would only make sense for her to try to follow it up with another one. Kaling has branched out from The Office, and there are many parts of The Mindy Project — from its look to the general dynamic of the characters — that exerts that independence. But we all come from somewhere, and Kaling came from somewhere pretty great. Besides, it's refreshing to see a character with that tiny bit of Michael Scott in her soul who looks absolutely nothing like Michael Scott.